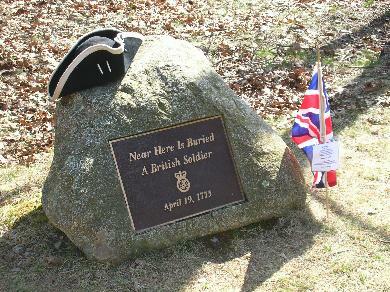 (just past the tunnel under Hanscom Drive and west of the Paul Revere capture site). 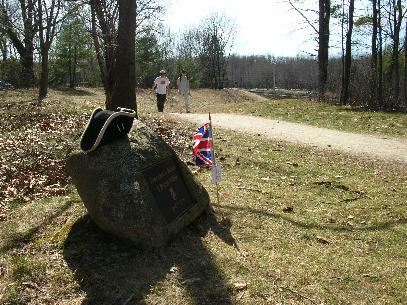 The marker is on the north side of the road adjacent to the walking trail. �It was not a complete lull in the battle, however, for an American bullet terminated the life of one Briton at least."